Someone is going to tell me this is in the wrong section, but hey ho. am a few years into my victory kit, she has been laid up in dry dock for the last 2 years since my daughter was born, but am now going to carry on. am just finishing the deck planking, having got a few of the frames slightly out of line at the initial stage so a couple of sections of the deck look slightly crooked. never mind, it's not a beauty contest!! 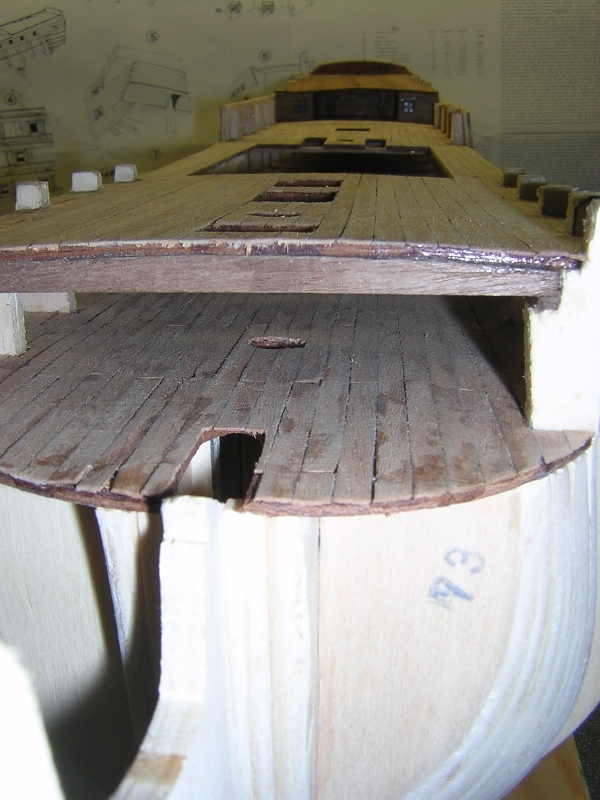 am a little wary of the holes for the masts not lining up properly though, can sort that out with the deck planks, just need to know at what angle the masts should be. do they need to be vertical or canted slightly towards the bow and stern. a few more pics of the build so far, will post more as i progress. This is the correct section for your build log. Check your plans for a drawing that shows the side view with all three masts. Use a 90 degree triangle to draw a line perpendicular to the keel from the center line of each mast then you can use a protractor to obtain the correct angle for each mast. 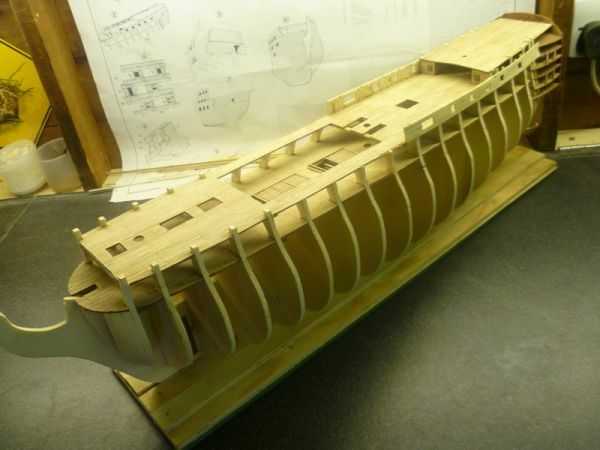 If you would like a good reference model go to Model Builders Section Gene Bonar HMS Victory Half Section.